J.C. Tran, born Justin Cuong Van Tran is an internationally recognised poker player of incredible talent. One thing is for certain about this Vietnamese American professional poker player which is that at the tables he is a terrifying opponent and away from the tables he is a true gentleman. 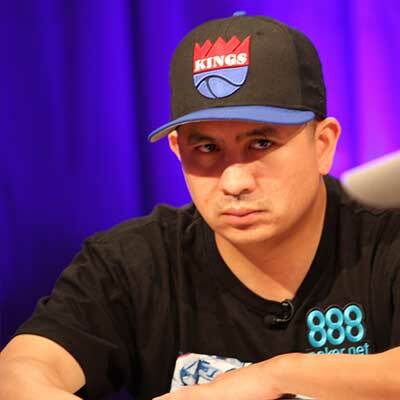 Highly respected by most poker professionals, Tran lets his record speak for itself. With career winnings of $10.4 million, not many can argue his skill on the poker felts, and not many professionals want to see him arrive at their table. Perhaps his career highlight came recently in 2013 when he made it to the final table of the World Series of Poker Main Event, eventually finishing 5th in front of the live TV cameras broadcasting around the world and winning $2.1million. Born on January 20th 1977 in a quiet village near the coast of Vietnam, Tran moved to Sacramento with his parents and 8 siblings at the age of two. His parents began pursuing regular careers to pay for their home and upkeep and Tran went on to study and gain a degree in Business Management Information Systems at California State University in Sacramento. Tran’s first taste of poker was during his university education with friends, where he went on to play for small pots at home during gatherings and minor events. It wasn’t until 2004 that Tran began pursuing poker as a career choice, where he took part in the World Poker Finals, finishing 5th and walking away in the money. During 2008, his reign as one of the in form professional poker players saw him cashing in prize money at 7 events throughout the 2008 World Series of Poker and was named player of the year. On June 30th 2008, Tran won his first World Series of Poker bracelet for winning the $1,500 Holdem event where he bested a field of 2,718 players, taking home $631.170 in winnings. Later that year, in November, Tran went on to win the Party Poker Premier League III Tournament by playing a final successful hand against his opponent, Tony G, after a gruelling heads-up battle, claiming a $300,000 1st prize. In mid 2009, Tran again entered the 40th Annual World Series of Poker and claimed his second bracelet for his success in the $2,500 Pot-limit Omaha event in front of a crowd of hundreds of excited spectators. 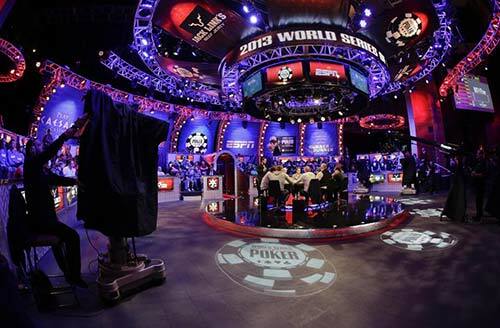 Tran was in the spotlight of the world media when he made it to the final table of the 2013 World Series of Poker Main event, entering as chip leader and favourite for the most prestigious title in poker. His success has continued, and on top of his 2 WSOP bracelets he has also won a World Poker Tour event and accumulated career earnings of $10.4 million. Perhaps his biggest moment came recently in 2013, when he navigated through a field of 6,352 in the most prestigious tournament of the year, the WSOP Main Event to make it to the final table, famously known as part of the “November Nine” as the tournament breaks in July after reaching the final 9 players and then they return later in the year in November, for a glitzy final table which is broadcast live on ESPN and around the world. Tran finished 5th taking home a prize of $2.1million. In his spare time, Tran can be seen practising his sport with friends and fellow players alike and he is an avid fisherman, often travelling to local fishing hotspots when he has time away from his profession. His family now live comfortably in Sacramento after Tran purchased several properties in the area following winning big in 2008. JC enjoys spending time with his family and friends, and in particular spending time with his relatives from both Vietnam and the United States. J.C. is an avid charity fundraiser, dedicating certain weekends to raising funds for the poor in Vietnam and further afield. In 2010, Tran was present during the Asian poker Tour in Manila. The Asian Poker Tour ambassador, acknowledged as one of the most feared and respected poker players in the world won over a field of local celebrities and other professional poker players to win the celebrity charity challenge. He has been quoted as saying his one single aim for the world is to work together as one to focus on gaining world peace. JC is a regular supporter of Charities, especially those related to helping the poor of his country of birth, Vietnam. Although J.C. remains single at the age of 36, he insists that his aims run a lot deeper than starting a family of his own. His ambition is to become one of the best known and recognised poker players of all time, able to win year in and year out. Not only does he have ambition within the poker industry, but he is also an avid golf enthusiast. He claims to have no intention of becoming a professional golfer but he enjoys his hobby either way. Tran’s favourite music is Hip Hop, Electronic and R&B and finds all three genres suit his personality perfectly. He doesn’t yet have a favourite place to visit and says that when he’s old enough to retire, he intends to travel the world and see everything beyond his cards. His most respected fellow poker player is Jerry Patton for the way that he remains so resolute during games, even one on ones. Following his incredible success at the 2013 World Series of Poker, J.C. Tran has been revealed as the latest member of Team 888 Poker. As part of this team, he represents 888 Poker around the world and plays exclusively online at their tables. He often chats with fans at the table, while they watch him, or join in an play with him. There are also special tournament run by 888 which offer fans a chance to win all expenses paid trips to live poker tournaments where they play a long side JC Tran and the other celebrity team members. Want to Chat and Play Poker with JC Tran?